Dr. Deborah Kopansky-Giles, BPHE, DC, FCCS, FICC, MSc, is a chiropractor/clinician scientist on staff in the Department of Family and Community Medicine, St. Michael’s Hospital, an Assistant Professor in the Faculty of Medicine, University of Toronto and a Professor at the Canadian Memorial Chiropractic College, Department of Research. Dr. Kopansky-Giles oversees the chiropractic program at St. Michael’s Hospital and is actively engaged in collaborative, primary care health service delivery research with a focused area related to integrative models of health care, competency-based education, and interprofessional education of health professional trainees. Dr. Kopansky-Giles represents the chiropractic profession on the Global Alliance for Musculoskeletal Health (of the Bone and Joint Decade) International Coordinating Council, co-Chairs the GMUSC Education Task Force and is a member of Bone and Joint Canada Steering Committee. Deborah currently sits on the Ontario Ministry of Health and Long Term Care (MOHLTC) Expert Working Group on Quality Standards for Low Back pain and sat on the Ontario Ministry of Health and Long Term Care Neck and Low Back Pain Quality Based Pathway Expert Working Group as well as the provincial government strategy group for LBP. Deborah co-Chairs the Collaborator Role Working Group for the College of Family Physicians of Canada and chairs the IPC Competency Working Group at the Hospital. 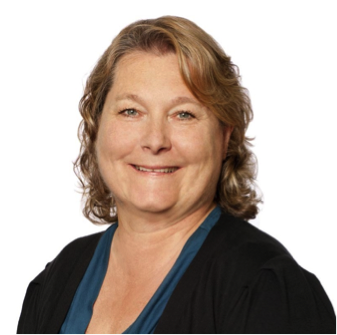 Deborah represents Canada on the World Federation of Chiropractic and has been actively working with the WHO over the past several years including past membership on the WHO Disability and Rehabilitation Expert Advisory Committee. She is currently actively engaged with the WHO on the Framework for Integrated, People-Centred Care, Global Health Workforce programs and the Ageing and Life Course program bringing the lens of musculoskeletal health and functional ability to the healthy ageing initiative. Deborah has received numerous research grants and awards, has published several papers and presents nationally and internationally.